To Gov Joho & CS Macharia. Kibarani traffic gridlock now needs your personal attention. – Mohammed Hersi . A hotelier who is passionate about Tourism & Governance in Africa. It is my pleasure to welcome you to my blog. To Gov Joho & CS Macharia. Kibarani traffic gridlock now needs your personal attention. Cry my beloved city of Mombasa. 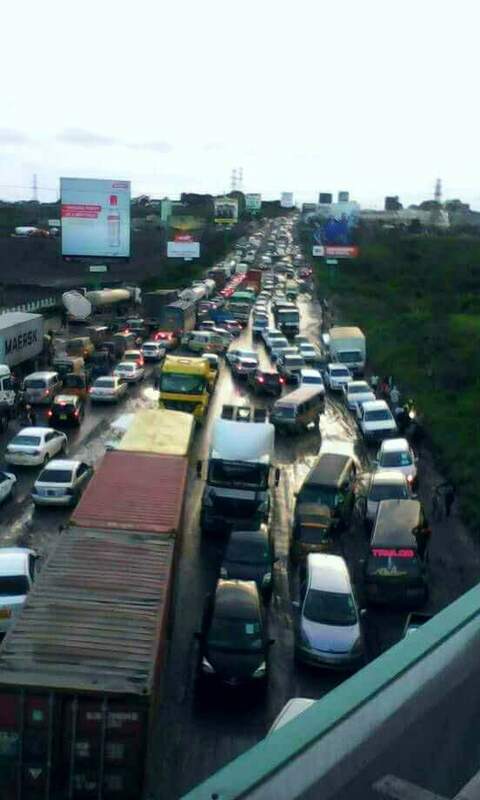 In the last few days the traffic gridlock at Kibarani is simply crazy . The main cause of this mess is mainly attributed to trucks but you will ask me we have always had trucks. Now something happened on the left side of the road as you start to ascend the Kibarani hill. Some people were allowed to reclaim land from the ocean and all three of them look like are in heavy commercial vehicle business. While going uphill was already a challenge why would any sensible authority allow anyone to turn this area into a truck yard making an already bad situation even worse. Now why would any authority be it county or national choose to look the other way when such crazy move is being undertaken right under their nose. Where is NEMA ? They never hesitate to prosecute even when you chose to alter the size of your Verandah? Where are the overzealous county Inspectorate? Now we have close to 200+ trucks entering or leaving these new land while one actually looks like a yard to store coal. Now surely how on earth would NEMA choose to look the other way when such a serious pollutant is set up right next to a mass of water ? The only entry into Mombasa island now belongs to truckers while in serious countries trucks are never allowed anywhere near the city. For the first time I see NO future for Mombasa. Now that the Dongo Kundu bypass to South Coast is entering the 2nd & 3rd phase then Mombasa and it’s little cousin Mtwapa will be forgotten as they fight for space to be be the dirtiest and traffic gridlocked place on Kenya Coast. To Governor Joho , you and I are close friends but I drop this right at your doorstep. You have the power , you have the authority to restore sanity . You have the energy ,I have seen your energy levels on other issues. This matter now needs your full attention and we can nolonger wish it away. I am afraid this is now sheer madness and no investor let alone a tourist be it domestic or international would waste their money on Mombasa. As Tourism stakeholders and Mombasa residents you have our full support in stopping trucking companies turning the Kibarani area into a parking area. To CS Macharia you equally need to give your personal attention to this Kibarani woes. This is the entry and exit to Mombasa city. We appreciate you are focussed on the SGR but how will anyone get the new SGR station when we can’t even get past Kibarani? To those businessmen I leave you with this >>> Life is NOT all about money. You can still do legitimate business without violating the rights of others or damaging the environment. .You may pay your way to get all the approvals. Do you sleep well when you see the mess you are causing? Patients dying in traffic gridlock because the ambulance could not find a way through. What is the use to be the highest donor at your Mosque , Church or Temple when day in day out you choose to do all the wrong things. Trust me it will catch up with you. Meanwhile we shall NOT choose to look the other way , we shall ensure the authorities do the right thing. Disclaimer: We have good serious trucking companies who operate in a professional manner. The serious ones have even bought land in Mariakani while the lazy ones who don’t see the future are busy insisting to have their trucks next to KPA head office. Chairman Kenya Coast Tourism Association & a Mombasa resident. Previous PostYou want to benchmark on city planning , go next door Kigali NOT Singapore. Next PostKwale can create the first well planned city in Kenya thanks to the planned Southern Bypass. Last Saturday 20th may, I booked satao camp at tsavo it took me 5 hrs to reach the Bachuma gate. I was with my family, I really felt sorry for the tourist van in front of me. Can you imagine their frustrations. Mohamed I hear you and I feel your pain. The mess is real and there is no better to chase away tourists and they’ll never come back nor recommend us to their friends and associates. Good roads is also our right and tourist is only a visitor. We must push the authorities at both county and national government. Indeed Mombasa is becoming a slam of tracks. 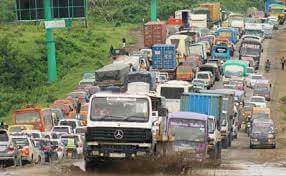 When one wants to visit the capital of Mombasa either by road or by air it is a nightmare.. Governed JOHO should take charge and show his leadership without fear or favour. It is had to convince people to come to Mombasa. All roads are now leading to Naivasha. To be fair to Governor Joho the said road is actually under the national government but he has the authority to get the trucks to behave . The authority to stop truck companies turning such places into a yard making am already bad situation even worse. He is certainly not helpless and we are ready to stand by him on his quest to bring back sanity.